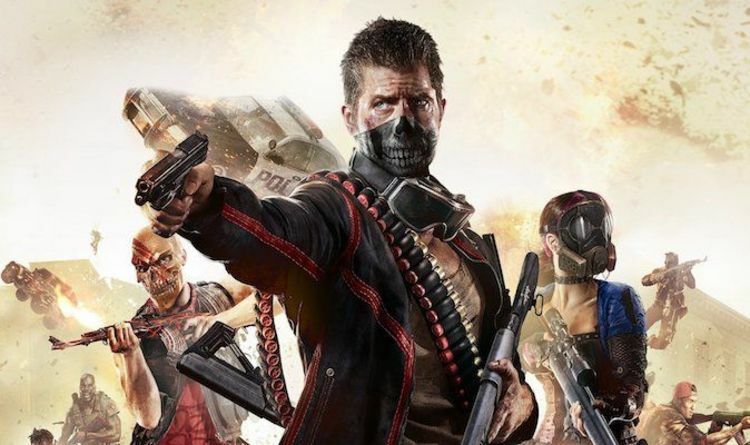 H1Z1 developer Daybreak has good news and bad news for PS4 fans. The free-to-play battle royale shooter is getting another major update, complete with new content, bug fixes and even free items. The only bad news is that the game is going offline for server maintenance. “[PS4 Update] NA PS4 servers will be coming offline at 8AM PDT and EU PS4 servers will be coming offline at 11PM GMT on Thursday, June 14 for an update with a bunch of bug fixes and more!” reads a Daybreak tweet. New items include the Red Dragon Pack, the Neko-chan Pack and the Beast Complete Bundle – which contains both packs. Anybody who logged in before June 14 will also receive the Green Dawn Riot Shotgun for free. • Players no longer occasionally spawn and parachute into the extreme edges of the map. • Tapping the L1 button now always correctly quick-switches weapons. • Players will no longer occasionally be prevented from crouching after exiting a vehicle. • Bullets from the M40, CNQ, and MK46 now correctly hit enemies through windows. • Fixed a couple of issues where loot could fall inside of walls or through the floors of military tents. • Fixed a specific client crash caused by a memory leak. • Addressed one connection issue where players might get stuck trying to enter a match. • Fixed Kill Feed issues for ignited vehicles, dying to the gas, and falling to your death. • Cleaned up the Scout Rifle reload animation when aiming down sights. • When a player is killed in a vehicle, their loot bag will eject in a direction based on what seat they were in. • Players can now drop Other Ammo without needing to highlight a weapon slot. • Bleeding screen effect no longer persists across games after logging out while bleeding. • Vehicle HUD no longer incorrectly displays that the vehicle is under EMP effect after the effect has expired. • Correct buttons are now displayed when opening the radial menu (weapon or grenade wheel) immediately after exiting a vehicle passenger seat. • When pressing R1 to enter throwing stance, the throwable name will no longer display in the HUD. • Touchpad is now properly identified as “World Map” in Settings. • Beige Suit Jackets no longer drop in player loot bags. • Fixed several minor text bugs in the UI. • Players who complete the email opt-in form will now receive 2 Victory Crates once they’ve confirmed their email address. Players who provided and confirmed their email address previously (before this update) will automatically receive 2 Victory Crates as part of this update. • A “Message of the Day” window has been added to the main menu to let players know about events and sales.